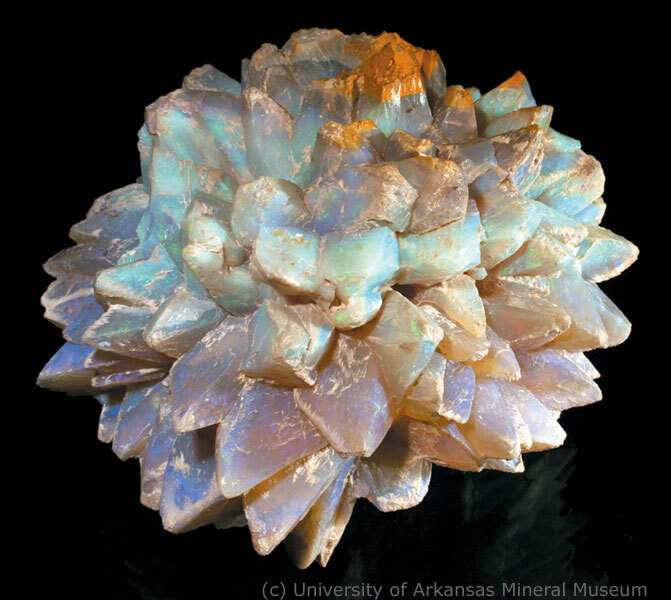 Seeing how it’s my birthstone, I have a special connection with anything involving opals…and this one is a spectacular one from White Cliffs, New South Wales, Australia and now a part of the University of Arkansas’ Mineral Museum collection. I love everything about this piece of opal, the variety of colors, the variety of transparency, and how it appears to be exploding/expanding from the inside out, like a chrysanthemum. We can learn a lot from mother nature and her opals about color combinations that work well together.